After such a cold winter, although it’s not over yet, your beard will have taken a battering. Luckily our friends at Bluebeards Original are on hand with their handy trio sets, with all the products you need to clean, moisturize and condition your beard. Right now, they’re offering free shipping on all trio sets! The trio sets are available in 4 different types, Original, Fresh Mint, Mojito (lime) or Unscented, for sensitive skin. Each beard care trio contains a Beard Wash, Original Beard Conditioner and their award-winning, better than beard oil alternative Original Beard Saver in a free handy vinyl toiletry bag. 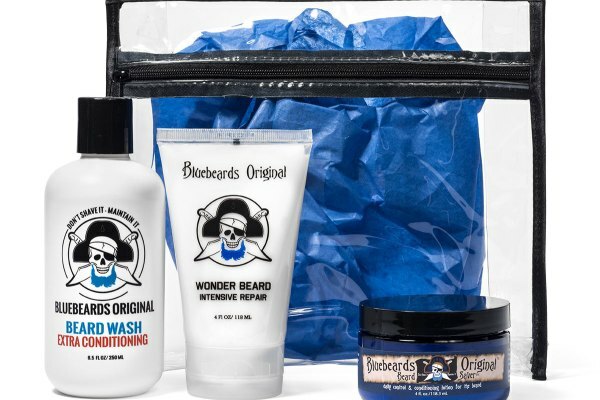 Visit the Bluebeards Original website now and get your beard care trio kit!